Enhance your die-cast toy cars for display and gaming with these stainless steel photoetch detail sets! 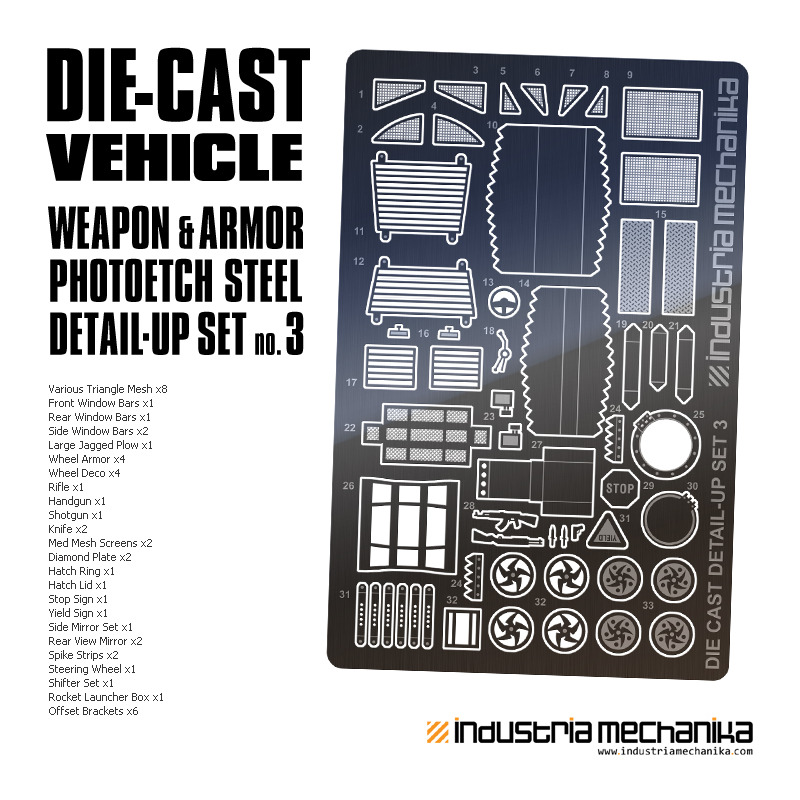 Each set is full of various weapon and armor bits for make your ride fit for combat! Just snip, fold and glue into place as directed or modify as needed! 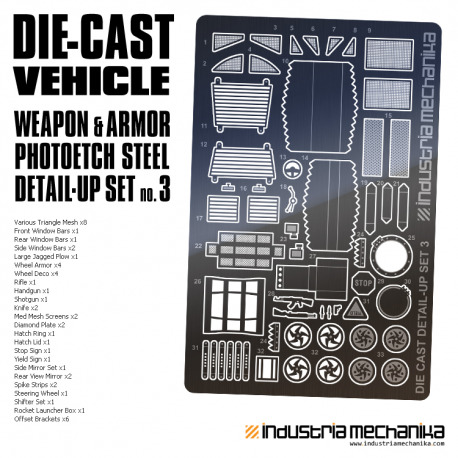 Most parts have multiple detail uses!